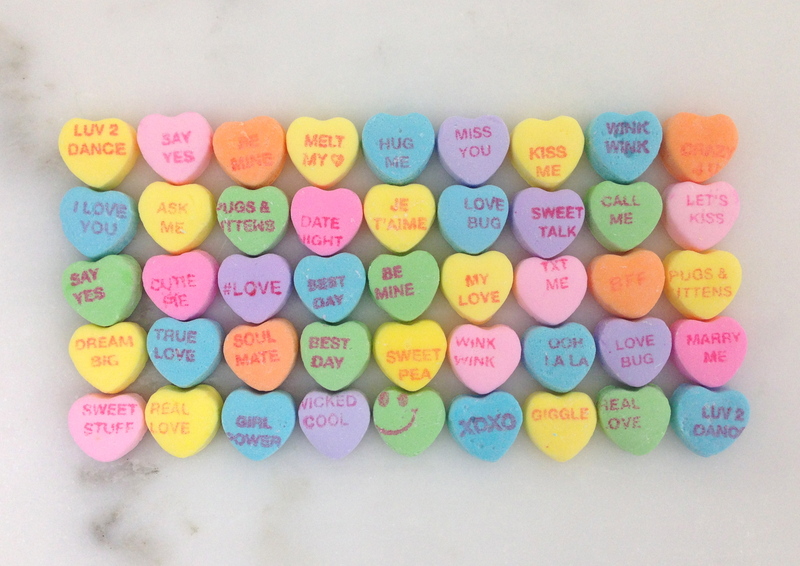 In honor of Valentine’s Day, I wanted to do something different and write about the ionic conversation hearts. When I was little, I couldn’t wait for February 14th to come around. I loved addressing my Valentine cards to my fellow classmates and giving out and eating conversations hearts! After my daughter Laura was born, I was again able to participate in one of my favorite childhood experiences! I know that this is a “girlie thing,” because my husband doesn’t share the same enthusiasm. Over the years, the Sweetheart sayings have changed to reflect the culture of our times, like #LOVE and GIRL POWER. They are sold in six varieties, the original, Dazzle Tarts, En Español, Chocolate, Sugar Free and Color Your Own. They do not contain gluten from wheat, rye, oats or barley. 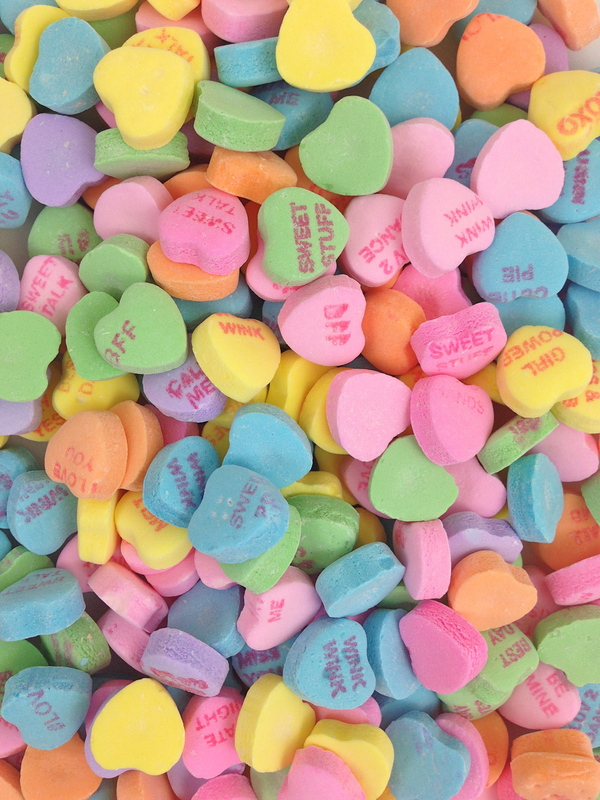 An incredible 100,000 pounds of candy hearts is produced each day from mid-February to January! It even beats chocolate as the best-selling Valentine’s Day candy!